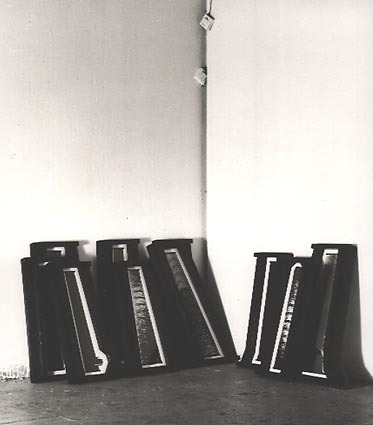 The only photo of the exhibited artworks that appeared in the catalogue of the exhibition at CREDAC, Ivry-sur-Seine, France, in 1989. Sizes: between 53x22,5 - 59x42,5 cm. All 1989.